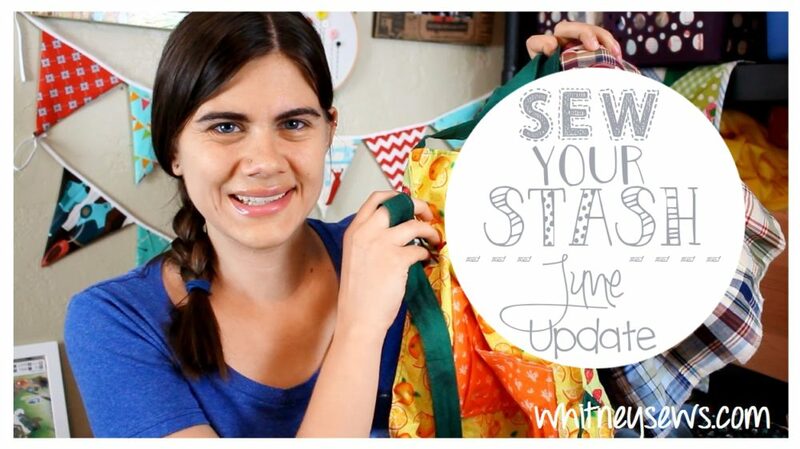 A Sew Your Stash update is sooo long overdue! It seems like we’ve been busy or sick every single day since my last update, but I still have a lot to talk about! If you’re new and don’t know what Sew Your Stash is, it is a challenge I started this year to focus on sewing using fabric and supplies from my stash without buying new materials. I am also trying to finish WIPs that have gone unfinished for far to long. There is a facebook group for the challenge full of inspiration and almost 8,000 members! Since my last update I have been busy making aprons, skirts, a denim rag quilt and more! Check out the video HERE to see what I made! I also managed to break my serger (watch the video to hear how that happened!). But the most exciting thing that happened is I’m taking back my sewing space! My younger daughter had been sleeping in the sewing room for a couple of months and she has been transitioned back into the same bedroom as my older daughter! This means I have more space and can sew after the kids go to bed!